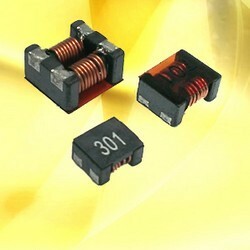 Manufacturer of Ferrite Core, Chip, EMI, Bead, Inductor, Coil, & Choke. From big to small size SMD Design, Wire wound constructure common mode choke with best EMI suppression effect high impedance but very high rated current and low RDC. -Preventive measure against common mode noise radiation emissions from power line or else. -Best for high current circuit such as car, wireless charging and power device design.